Part of a saga that started 25 years ago, ‘Power Rangers’ is about to get a game to be developed by nWay. Indeed, it is called ‘Battle for the Grid’ and a release date has been scheduled. A trailer as well as new information is now available about ‘Power Rangers: Battle for the Grid’ on its official website. Scheduled to be launched in April, the game is coming out on major consoles including the PlayStation 4, the Xbox One and the Nintendo Switch. The price has been capped at $19.99. Despite only four characters being seen in the video preview, ‘Battle for the Grid’ could feature up to 15 different personas. So far, it has been confirmed that the yellow, green and red Power Rangers will be featured. The game will have a streamlined combat system which is expected to help out new users. 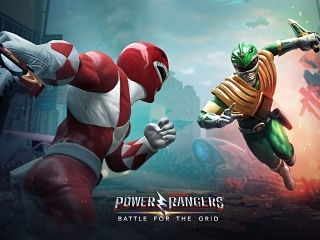 The game ‘Battle for the Grid’ coming on consoles © SCG Power Rangers LLC / Hasbro / Lions Gate Ent. First aired in 1993, the ‘Mighty Morphin Power Rangers’ was a TV series aimed at children. With the help of toy kids, the franchise had garnered sales of around $6 billion by 2001. The original storyline revolves around a group of teenagers who are trained so as to develop super powers. Previous video games, programmes as well as films have been released. Furthermore, aside from enabling multiplayer and online mode on ‘Power Rangers: Battle for the Grid’, cross-play will also be accessible. Indeed, according to nWay, gamers playing on various consoles will be able to partner up throughout the game.